It’s always interesting to find your partner 40 years younger. Second sequels are always hit or miss. Return of the Jedi (1983) was every bit worthy of being a Star Wars film whereas Spider-Man 3 (2007) was an overhyped disappointment. However, it’s rare for movie franchises to wait a decade before making another sequel. Enter Men in Black 3. Boris the Animal (Jemaine Clement) succeeds in breaking out of the Men in Black’s incarceration facility on the moon, and then goes back in time to kill Agent K (Tommy Lee Jones) before K has the opportunity to arrest him and activate a defense mechanism to protect the Earth from an alien invasion. 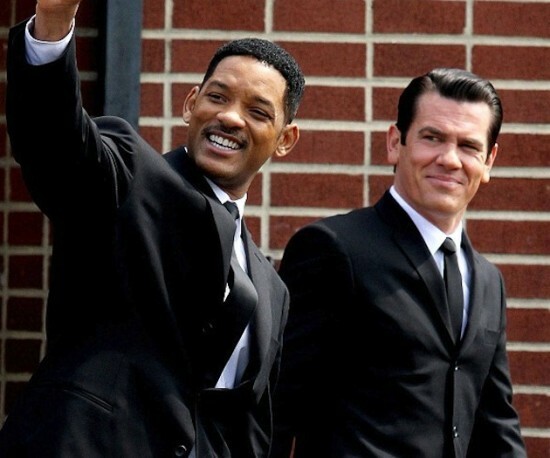 As Agent J (Will Smith) is the only agent with any recollection of K before the time paradox, he must go back in time and work with…..Agent K (Josh Brolin) and stop Boris from succeeding in working with a younger version of himself to sabotage K’s defense implementation. From the get-go, what is obvious is Tommy Lee Jones’ age. Thus, it’s reasonable to assume that the plot was constructed to limit Jones’ involvement in the project as he likely felt himself too old to do such a movie. That said, I was impressed by Josh Brolin overall. I think it’s fair to say Brolin was actually more playing Tommy Lee Jones than he was playing Agent K. Will Smith also gave J some depth which I thought was absent in the first two films. The premise of the movie ultimately served to develop K’s story as he was given next to no backstory in the earlier films. Much of MIB3 took place in 1969, and I will say the movie succeeded in creating a strong 1960s atmosphere; that was something I thought X-Men: First Class (2011), a movie that took place in 1962, utterly failed to do. That said, I felt MIB3 was a little too obsessed with exploring K and showing what a good job Brolin was doing at taking over Jones’ role. I would have liked to see more about the evolution of MIB as an organization, but the office was only seen briefly. Much of that scene was dedicated to showing this oversized neuralizer; while showing how MIB used older gadgets was a nice touch, I felt giving them the screen time they got was perhaps a little excessive. Side characters just sort of came and went as there clearly wasn’t enough script to go around. Finally, I would have liked to see Jack Jeebs and Frank the Pug make an appearance, which they did not. While MIB3 was nowhere near a perfect movie, I will say I did enjoy it more than 2002’s Men in Black II and it overall worked as a sequel. So it’s not quite Return of the Jedi, but it is a much better watch than Spider-Man 3.